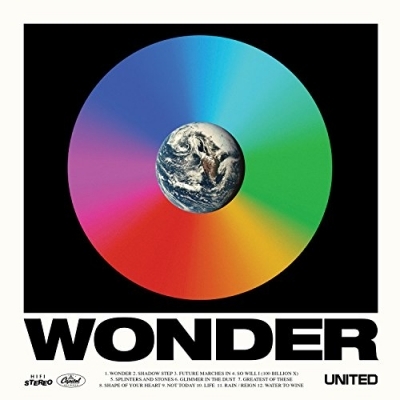 Read More Hillsong United are back with a new studio album titled 'Wonder'. This latest album is Hillsong United's sixth studio album, and follows 2015's 'Empires' release. Last year they released their latest live album 'Of Dirt and Grace: Live from the Land'. Can I be really honest with you? I wasn't sure of the opening title track 'Wonder' at first. Even after a few more listens I wasn't blown away. Yes it is a catchy song, great singing and great musicianship, yet it didn't click with me. Why? I can't really put my finger on it. Then someone pointed me to a YouTube video of Joel Houston explaining in depth what the song meant. It was then that I was made aware of how how deep the lyrics are in Wonder, when maybe on first listen I missed it. Since then I have grown to really enjoy this song. That's where this album takes you. This isn't easy listening worship music. This albums has deep, artistic lyrics from the heart and soul of the songwriter but more on that later. Hillsong United know how to produce great albums. Aftermath, wow, Zion even more wow, Empires whole new levels of wow. They keep pushing the barrier higher and higher while also seeming to be the first to produced a new sound of worship that always seems to capture hearts of worshippers at that time and moment. How they do it, I don't know, but they always seem to be at the front of the game. If there was one song that grabbed my attention and dragged me into this album, it has to be 'Future Marches In'. Now this is a truly wonderful track, for me a standout track that seems to have the passion, style and also the heart to get closer to God in song - what we expect from Hillsong United. 'So will I' is again another one of those fantastic song that stirs the emotions inside. The vocals on 'Shadow Step' are breathtaking, actually the vocals on the whole album are very strong and no matter who is leading the song, their voice is strong and distinctive but also different to each other, which is one of the many highlights of the album. It must be added that lyrically the words of the album are the most artistic I have heard from Hillsong United. This comes over in many of the tracks, but especially tracks like Splinters & Stones and Glimmer & Dust. With the latter track being a sublime piece of music. What I love with this album is that as you grow into it that you realise that the lyrics used in the songs are not obvious lyrics, not over used 'church' lyrics. These are not lyrics that you have heard a thousands times in different worship songs. These are words that are creative and artistic, even poetic. This means as a listener you have to work a bit harder and to explore what the words are saying. Yet at the heart of all these songs and lyrics is the general message that is at the heart of all Hillsong United songs, God is Amazing. Moving on, the song 'Greatest Of These' has a hymn like quality to it. On the other side of the musical spectrum you have 'Shape Of My Heart', which is just brilliant, but both great songs, both different in approach but the heart is the same. When I didn't think there could be many more wow moments, the song 'Life' comes along. It is one of those songs you get lost in. Close your eyes and let the song wash over your soul. This song is breathtaking. Let's be honest here, it did take me a few listens to really 'get' this album. Don't buy this and put it on as background music. Explore the lyrics, really dig deep into the meaning of the songs. The music doesn't need explaining, the quality as you would expect is the best out there. I have used the word breathtaking many times in this review, and this album is full of those moments, but I would encourage you to really dig deep into the meaning, the themes of the songs. There is so much going on in this album that is well worth grasping. It's an album that will take you closer to the 'Wonder' of God and that's the meaning of all breathtaking worship albums.